Humanity’s daily survival is dependent on the environment’s ability to consistently deliver the basic amenities of life: clean air, water, and food. The environment’s continuous rendering of basic amenities is called an “ecosystem service” and it is dependent on healthy ecosystem functioning. In the same way that passengers onboard a trans-pacific flight need a 747’s machinery to function consistently, life on Earth requires that our ecosystem services remain consistently robust as we hurtle through the solar system. Scientists have long suspected that anthropogenically driven environmental changes impact ecosystem functioning. However, direct evidence of the specific mechanisms by which this occurs has been lacking. A recent article published in Science this past April by Oxford University’s Yann Hautier and his collaborators illuminates groundbreaking evidence that biodiversity, the total number of species in an ecosystem, seems to be the primary mechanism affecting the stability of ecosystems. If biodiversity decreases then ecosystem stability also decreases. “Ecosystem stability” in this context is an ecosystem’s ability to consistently produce plant biomass year after year– a metric with clear implications for agriculture and humanity’s future ability to feed itself. Hautier’s team drew data from a series of experiments conducted over the past 28 years to show that regardless of the particular type of anthropogenically created disturbance, it is the resulting impact on biodiversity that drives a corresponding decrease in the stability of ecosystem productivity. 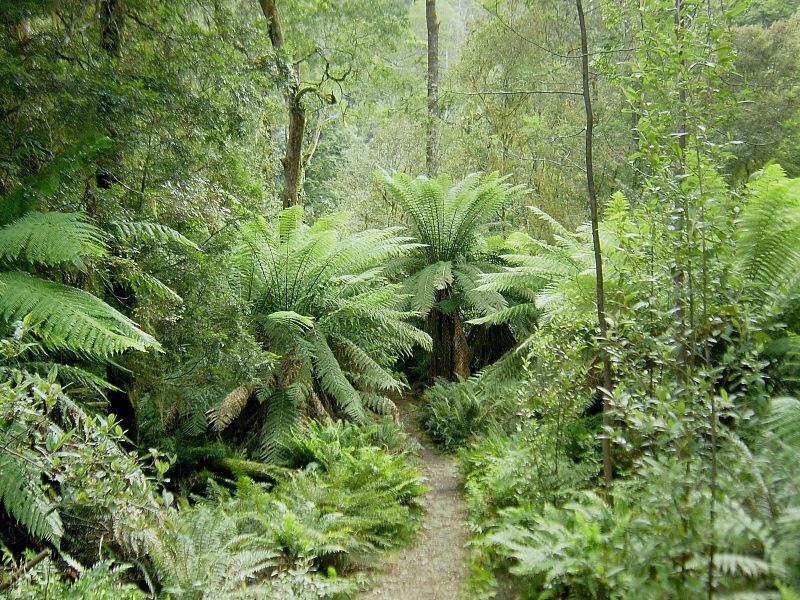 Their experimental design and implementation of appropriate statistics allowed them to point to biodiversity as an intermediary factor between human activities and subsequent effects on ecosystem stability. For example, adding nitrogen fertilizer to soil decreases ecosystem stability by creating conditions that allow only a few species to dominate– the one’s well adapted to a high nitrogen environment. The reduction in biodiversity seems to be what causes the corresponding decrease in ecosystem stability. 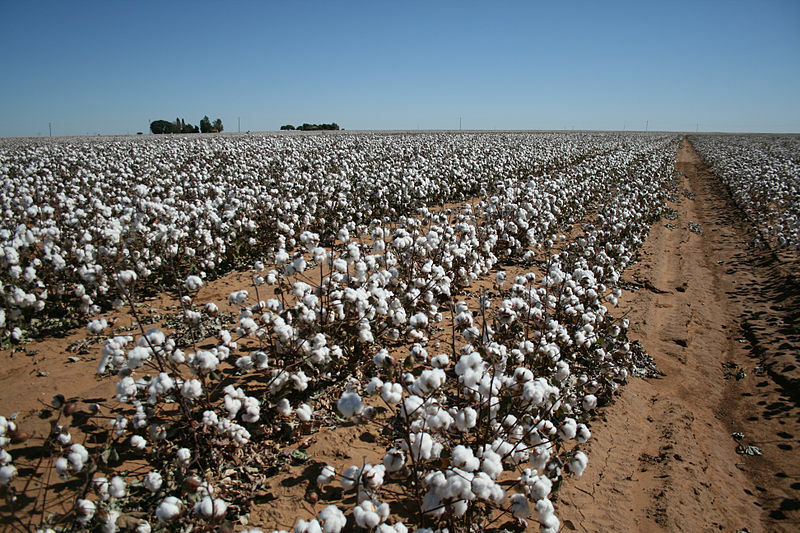 Monocultures, such as this cotton field in west Texas are susceptible to more drastic swings in overall productivity from year to year due to their lack of biodiversity. Think about a monoculture of cotton– all it takes is the emergence of a pest well adapted to destroying cotton to wipe out the entire field. If cotton were to only constitute 10% of the total species in that field, then only 10% of the field would be implicated. Thus, the presence of other species would cause overall productivity of the field to remain more stable. We can conclude that human activities that lead to a reduction of the total number of species in an ecosystem will also likely lead to a proportional reduction in that ecosystem’s ability to remain productive year after year. This conclusion has far reaching implications for land management practices, conservation, and agriculture. The preservation of biodiversity in agricultural systems has long been a basic tenant of organic agriculture and is observed to create more resilience against pests. The corroboration of this theory at the ecosystem scale will likely expand utilitarian arguments for the preservation of biodiversity. This is an important metaphorical arrow in the growing quiver of reasons why the preservation of biodiversity is more than just a moral obligation. It is a matter of future ecological security. Featured image by Hans Hillewaert via wikipedia, temperate rainforest image by “anyaka” via Wikipedia and Flickr, cotton image by Calsidyrose via Wikipedia and Flickr. Could climate change bring coral reefs to Alabama?